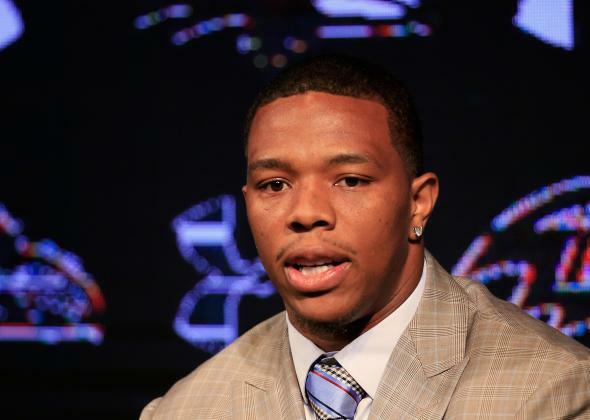 Former judge Barbara Jones reinstates Ray Rice to the NFL. Ray Rice Can Play in the NFL Again. Will Anyone Sign Him? Ray Rice addresses a news conference on May 23, 2014, in Owings Mills, Maryland. Ray Rice can play in the NFL again. An arbitrator reinstated the former Baltimore Ravens running back, apparently agreeing with Rice that his indefinite suspension was “arbitrary,” and that he had been penalized twice for the same offense. Former U.S. District Judge Barbara Jones ultimately concluded that Commissioner Roger Goodell’s decision to change Rice’s suspension from two games to indefinite after video emerged of him hitting his wife in an elevator amounted to an “abuse of discretion,” reports the Associated Press. The film of Rice from last season showed a player who had lost some of his explosion, who struggled to break tackles and averaged just 3.1 yards per carry. Rice’s 660 yards and four touchdowns in 15 games were his lowest totals since he became a starter in 2009. That decreased production and questions about if he can return to form might be a bigger issue for teams than Rice’s off-field transgression. Rice is scheduled to go on a charm offensive to try to win over some sympathy. NBC’s Today will be airing interviews of Rice and his wife on Monday and Tuesday.